Can home make you see life differently? We think it can. Introducing Prism at Weston in Santee. Where your love for the great outdoors is reflected in every aspect of home. It begins with thoughtful design. 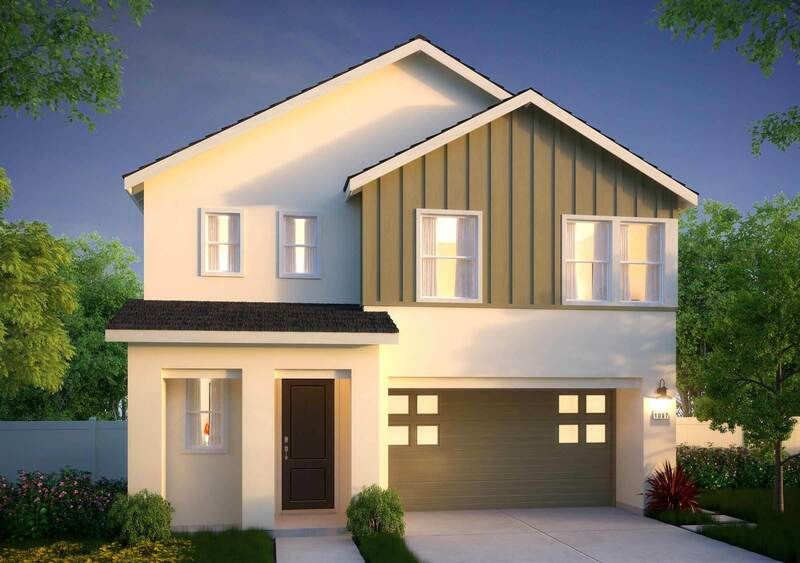 At Prism, 3-5 bedroom homes range from 1,789 – 2,148 square feet with a fresh, modern take on Farmhouse and Contemporary styling. Thanks to LivingSmart (our proprietary commitment to the planet and its resources), they tread lightly on the environment. Located in easy proximity to high-performing schools, shopping, and the 125, 52 and 67 freeways, they help tackle—and conquer—the daily grind. And boasting modern open floor plans, they’re light and airy, with features for modern living such as open floor plans, downstairs dens and upstairs lofts. Live at Prism and you’re at the doorstep of the Mission Trails Regional Park, surrounded by 95 acres of protected open space and a future five-acre public park, steps from a 2-mile trail leading into the heart of one of San Diego’s most beloved natural resources. The breezes that blow up the hillsides at Weston are cooled by the waters of the Santee Lakes Recreation Preserve, where you might drop a line for bluegill in the early morning hours, or take a run by the lakeside before sunset. With space to store your gear and soothing living spaces for indoor R&R, Prism is for the rock climbers, the mountain bikers, the avid hikers and just the plain-old fans of all things flora and fauna among us. It’s a home base for the adventure of a lifetime. Waiting to welcome you home. With Prism, get the luxury of a brand new home, from the high $500,000s to mid $600,000s.